Ubuntu 11.10 Alpha 1 released - OMG! Ubuntu! The first alpha release of the Ubuntu 11.10 development cycle is now available for developers to download. 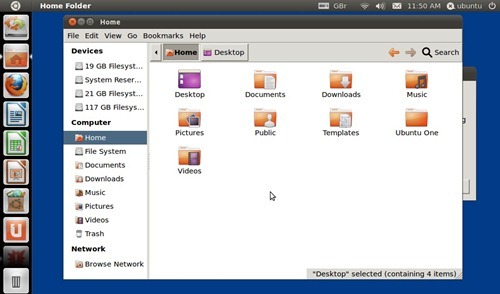 Ubuntu 11.10 Alpha sees many transitory changes, most notably the addition of GNOME 3 and its associated stack, as well the usual�version-ing�bumps – Network manager hits 0.9, Firefox 5 beta is included and Linux Kernel sits at 2.6.39. Pre-releases of Oneiric Ocelot are *not* encouraged for anyone needing�a stable�system or anyone who is not comfortable running into occasional,�even frequent breakage. �They are, however, recommended for Ubuntu�developers and those who want to help in testing, reporting, and fixing�bugs. If you’re considering taking the Ocelot for a�whirl then�do, please, bear in mind that it is an alpha release. What you experience or see in this alpha is not indicative of the final product due in October.